There is hardly a household without a clothes iron today. Your favourite clothes surely adore it. But what is the best way to keep this little helper in top shape? 1. 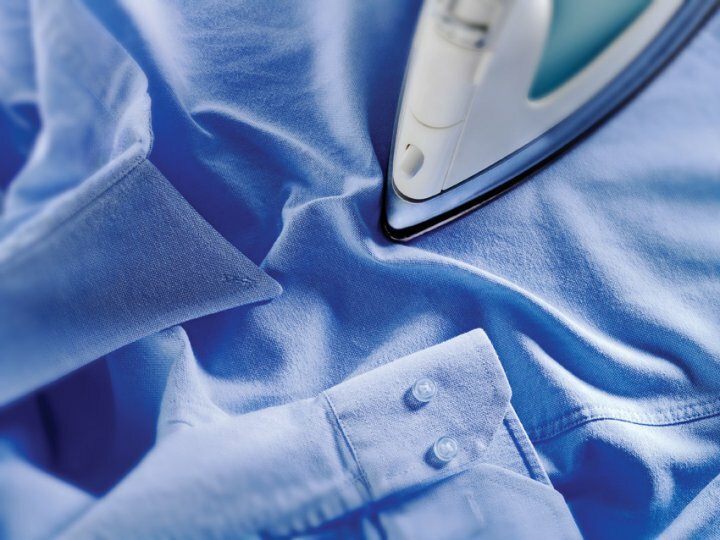 Before ironing, check the type of material, which is normally indicated on the label, and select the right temperature. 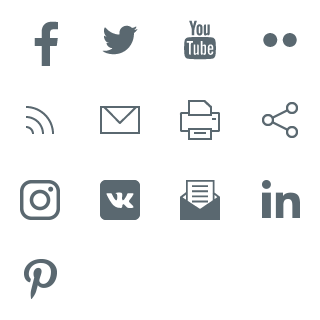 If the symbol on the label is "• / synthetic fibres", use the lowest temperature setting; with the symbol "•• / silk – wool", use the medium setting; with the symbol "••• / cotton – cloth", use a high temperature setting. If pieces of overheated fabric stay on the ironing surface, we recommend removing them by heating up the ironing surface until it is very hot, and then rubbing it over a clean cotton cloth. 2. Self-cleaning function makes maintenance even easier. When ironing with steam, limescale deposits can form, especially when using hard tap water. Some irons are fitted with a salt cartridge. Salt modifies the limescale crystals so that smaller crystals are formed when the water heats up. This makes any deposits easier to clean. Many irons are also fitted with a special button for limescale removal process. In this case, deactivate the steam function, fill the tank with water and heat up the iron. Press the button and gently shake the iron over a sink or a washbasin to wash away any impurities. With average use of the iron, this process is recommended every two weeks; if the water is particularly hard, it should be carried out more often. 3. Adding vinegar to the iron tank – yes or no? While vinegar can dissolve limescale deposits, iron manufacturers advise against using it in appliances as it can also be aggressive to other parts of the iron and cause their deterioration (gaskets and some other interior parts). 4. What to do when the iron, due to inadequate maintenance, no longer releases steam? If the iron is clogged with limescale deposits to the point when the self-cleaning function is no longer effective, call an authorized service centre. 5. Regular cartridge replacement. To avoid failures in iron operation, we recommend regularly using the cleaning function and regularly changing the water softening cartridge, if your iron is fitted with one. 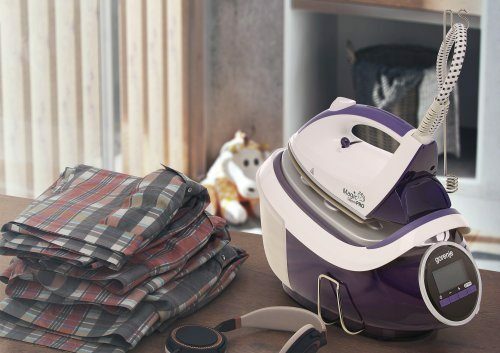 Gorenje irons enable optimum slipperiness on any type of textile and superior ironing results. If having some crease problems, tackle them when ironing with IONS. Gorenje steam vacuum cleaners are equipped with aluminium soleplate which has ceramic coating enriched with Tourmaline crystals.